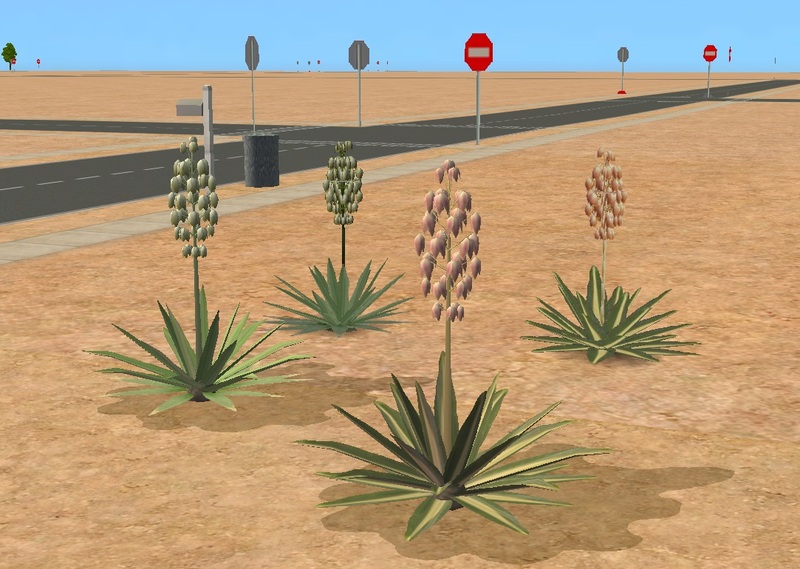 I have been playing around in Strange Town a fair bit recently, and it seemed to me that we are fairly short of seasonal plants that look right in a desert garden. So, I decided that my Sims would like a yucca plant. 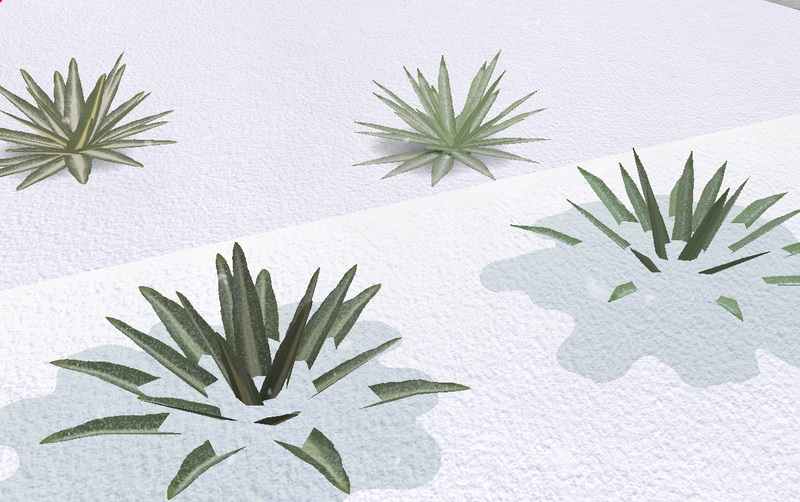 The Yucca is a hardy and drought tolerant member of the Lily family. It is native to the USA, but can be found in gardens around the world. I see a lot of them in gardens around where I live, for instance. My Yucca carries its flower spike in Spring and Summer. In Autumn and Winter it is just the leaves, and being hardy, it does have a snowy state. My Yucca is cloned from the Easy Shade Bay Tree, but has been re-categorised as a shrub and made non- lightening strikeable. It has a "smell the flower" interaction similar to my lavender, but only available during Spring and Summer. The flower spike is a complicated structure, so it is pretty high poly. However, my mid-range computer has no problem coping with multiple yuccas on a lot. 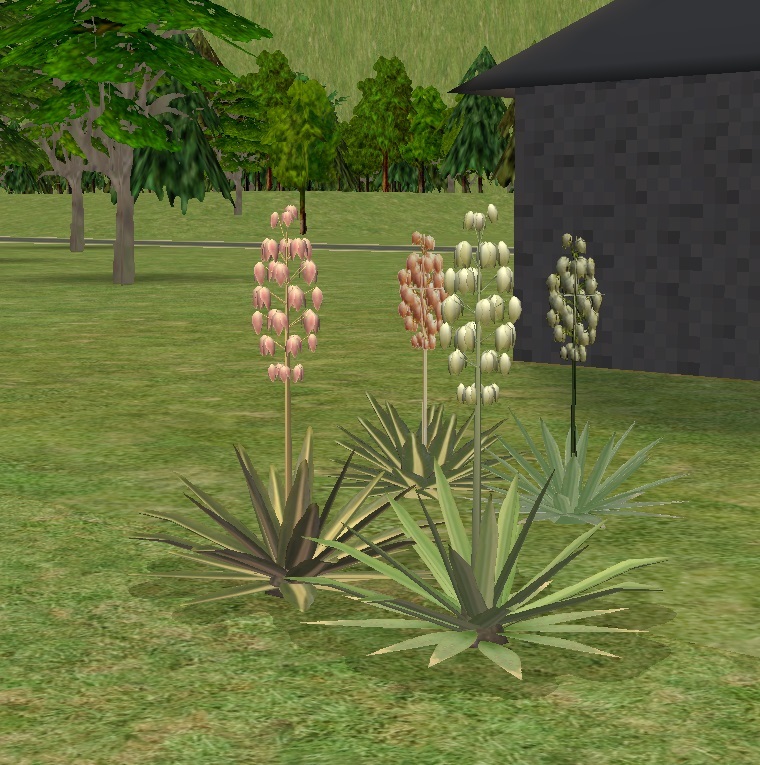 The Yucca is fully recolourable and I have included a variegated leaf recolour with a pink flower. Both files have been compressorised. The Yucca is available under Garden Center/Shrubs for $120. Thanks to the makers of Simpe, Blender, Paint.Net, The Compressoriser and all the other cool tools we get to use for free. Thanks to the writers of the tutorials, who help us to learn how to use them! Thanks to Maxis for the game. 70 people have said thanks to Aysarth for this download.